Working for an online company — or just having a constant internet connection at the office, at home and on your mobile devices on the go — it gets really easy to be distracted by digital interruptions. The never-ending emails, the torrent of tweets (mostly linked to pages, some which might even be interesting!) and articles on favourite sites are generally a huge distraction to getting work done (at least during the most productive hours of the day). I’ve been tracking my productivity for some time now and managed to greatly clamp down on my entertainment and social networking (more importantly, improve my design, composition, business and utilities time-contribution). The biggest time killer for me, I found, were long articles, from where I’d get sucked into down some you-might-also-be-interested-in-these-stories-wormhole. Enter Readability. Readability turns almost any article into a beautifully, stripped down version of its ugly, former self. 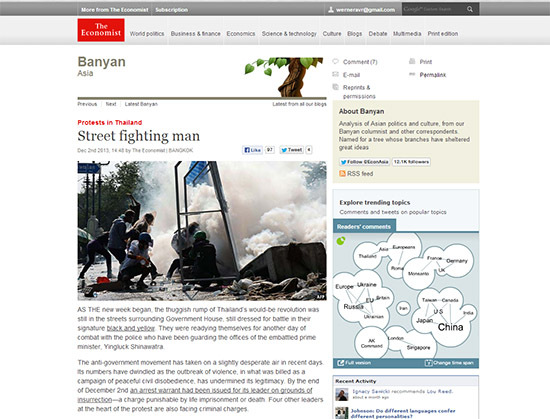 It cleans the clutter by getting rid of advertisements, sidebars and footers and puts the text in a very human-friendly layout: 1.5 line height, Georgia font wrapped in a div 700px wide. Despite being a sans-serif kind of guy –for landing pages at least– there has been many tests to prove you read serif fonts faster. What makes Readability really useful is that you can send these stripped-down articles straight to your Kindle, Apple or Android device. 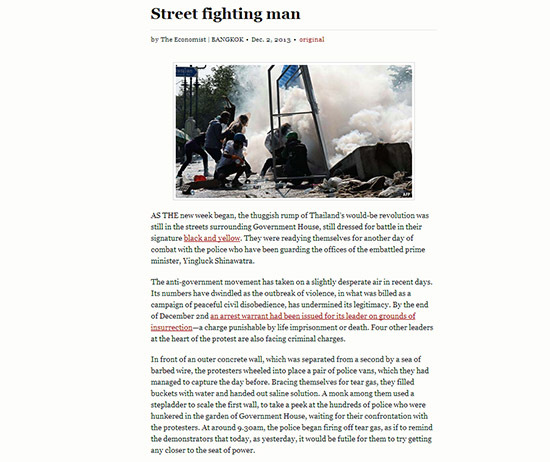 Whenever you find an article that you’d like to read, simply click the browser extension and send it to your device (from where it will automatically download again). 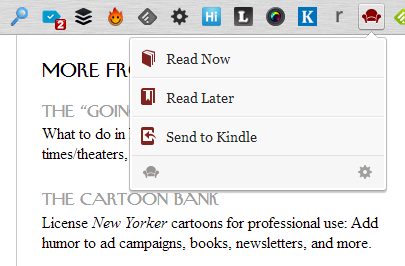 You could save it to be read later, but see the more elegant read-later solution, Pocket, further down. 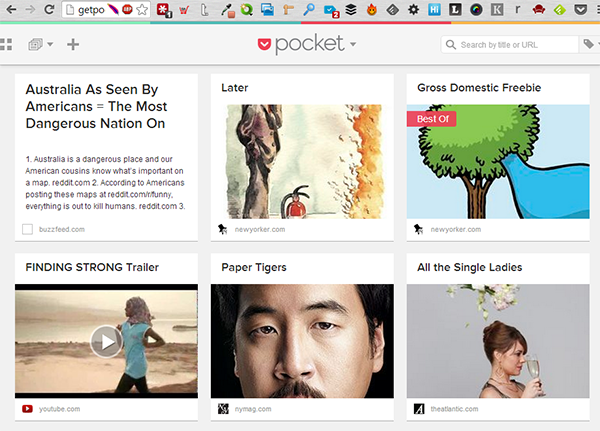 For web pages and links that aren’t quite as snooty as long-form journalism (yes, I’m looking at you YouTube and Buzzfeed), there’s another great solution: Pocket. Pocket is also a browser plugin and saves your time-killers in a pretty list, which you can tag, categorise, filter, read, archive and delete in future (on whichever device you want). Simply hit the Pocket button whenever you get tempted by a video or article (which everyone will totally read), close the tab and go on with your work. It’s not easy, but I’ve seen it done. So, Has Bitcoin Crashed Yet? Uber is in Cape Town!